Corning just announced its most durable glass yet: Gorilla Glass 6. "The company says that the glass will survive up to 15 drops from a one meter height and can be 'up to two times better' than Gorilla Glass 5," reports The Verge. From the report: As phones get slimmer and have ever sleeker glass displays, reports have appeared that the slimness may actually cancel out the improvements in new iterations of Gorilla Glass, since thinner glass is weaker glass, even if it's become stronger. Still Corning argues that sleek edge-to-edge displays have actually led to stronger smartphones. Sometimes, in smartphones of previous years, the bezel would crack first, then leading to a weakness in the glass. There's also a tradeoff between drop resistance and scratch resistance, which Corning has admitted to in the past. Corning says that Gorilla Glass 6 will have the same amount of scratch resistance as previous generations. 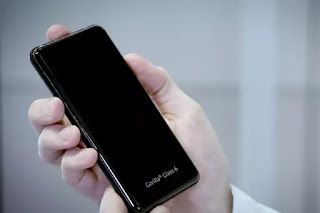 So although the company claims the new generation of Gorilla Glass is "better," you shouldn't expect new phones made with the glass to be more scratch-resistant. The first devices to feature Gorilla Glass 6 are expected to arrive near the end of the year.